If you haven’t used natural oils for hair oil treatment just yet – you must try it. You will be surprised with what can oil do for your hair. The choice of natural oils is enormous. You can go ahead and try all sorts of hair oils to figure out which one is the best for you. However, if your hair is relatively healthy and require mostly protection, or is not extremely damaged, but is far from being perfect – try buriti oil. Buriti oil is obtained from seeds (coconuts) of the moriche palm. Due to high concentration of monounsaturated and saturated fatty acids (present in more or less equal proportions) this oil suits both thick and heavy low porosity hair as well as medium porosity hair, which is slightly damaged, frizzing and happen to be difficult to tame, while its ends are dry. Buriti oil has vivid orange colour and delicate, a bit violet scent. Beside, the precious fatty acids that improve processes in cells and inhibit skin and hair ageing, buriti oil contains beneficial to hair, vitamins. 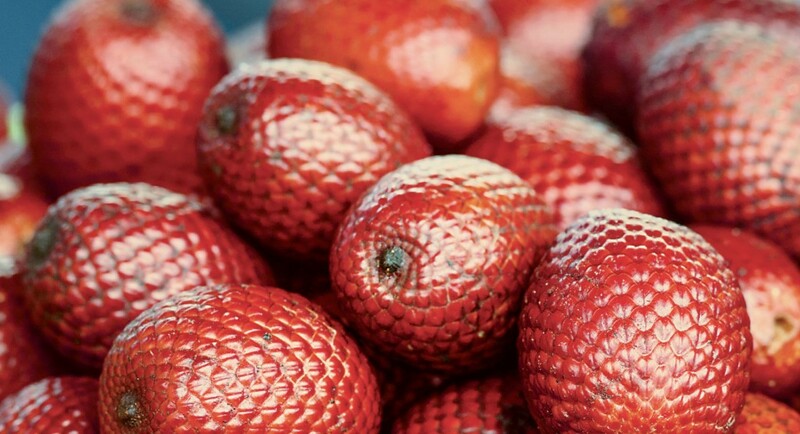 Buriti oil takes care of scalp, which no longer suffers from dandruff, dryness or excess sebum secretion. It will enhance hair growth, restore elasticity, vitality and gloss, while leaving strands with beautiful fragrance, which can be sensed many hours after hair oiling. Buriti oil will protect hair during drying and hair ends against high temperatures. It absorbs quickly and well and does not leave hair with greasy layer.